Improving water quality by controlling the source or movement of potential pollutants: Many of the activities described above will improve water quality. For example herb rich leys can fix nitrogen and are deeper rooting than conventional leys so will over time reduce fertiliser inputs and improved soil structure. We will also commission training on soil and nutrient management in consultation with the local CSF team. Ensuring the long-term survival of historic environment features: Landowners in the group have 55 Scheduled Monuments on their land. Woodland management: 10 members of the Facilitation Group have options for woodland management. LANDSCAPE: Restoring landscape features: This will include hedgerow and stone wall restoration. 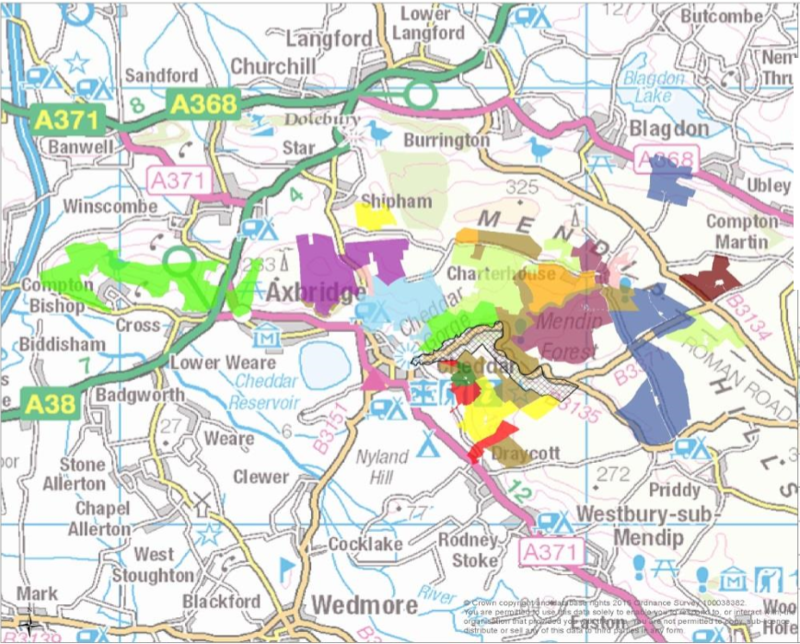 Restoring and enhancing boundary features to intercept run-off, increase soil infiltration rates and reduce soil erosion, restoring or creating legume and herb rich grassland in the western part of the Mendip Hills and enhancing existing woodlands.